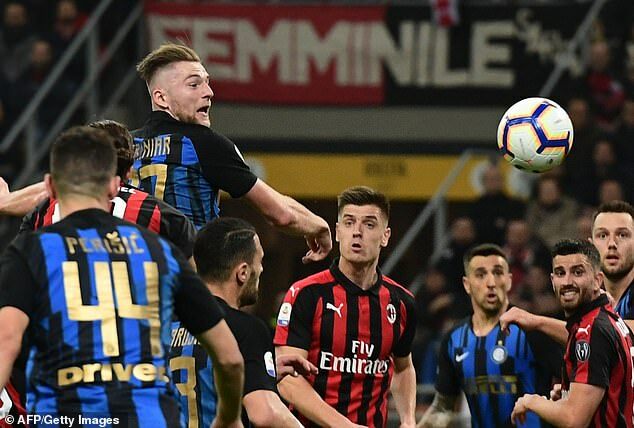 Both Real Madrid and Barcelona want to sign Milan Skriniar from Inter Milan, according to the defender’s agent. The 24-year-old has been outstanding for the Italian side this season and could be set for a move this summer. ‘Real Madrid want him, and so do Barcelona,’ Mithat Halis told Diario AS. ‘Whoever can convince Inter to let sell in the summer will sign him,’ he added of the Slovakian. The former Sampdoria man has been a rock at the back for Inter since joining the club two years ago. Halis also revealed that Manchester City attempted to sign him in January last year with a £47million bid. Inter refused to budge and went on to bring in Aymeric Laporte for £57m to bolster Pep Guardiola’s defensive resources. 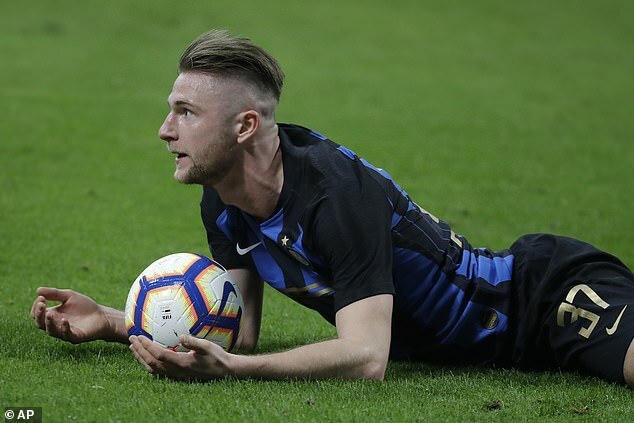 Halis went on to speak about the potential involvement of super agent Mino Raiola in any deal involving Skriniar, flatly rejecting the possibility. ‘Raiola may try to mislead Skriniar, however he has a contract with us and we will negotiate any deal,’ he added. 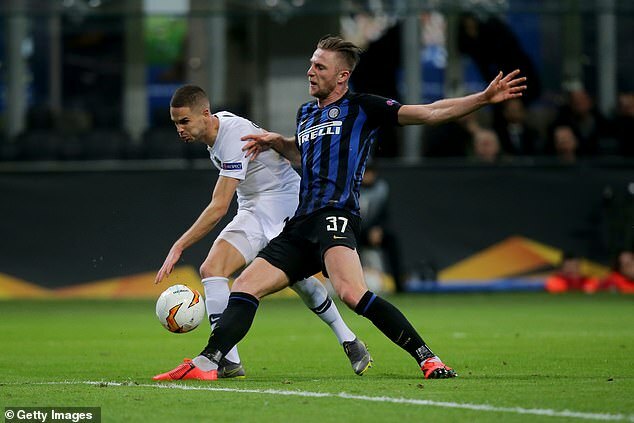 Skriniar has helped Inter to third place in Serie A and a Champions League spot looks assured for Luciano Spalletti’s side, though whether the defender will be at the San Siro next season remains to be seen.